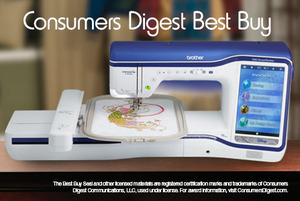 Includes 9.5" x 14" Embroidery Area, 10" LCD Processes 2xFaster, Drop Light. This technology gives you a live and up close view of the needle area for the most precise positioning ever. 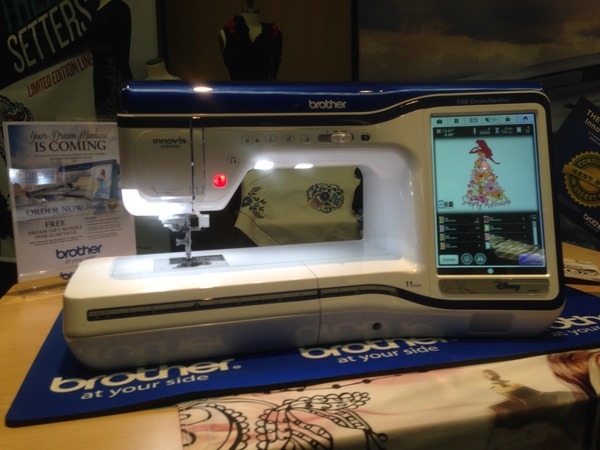 The ability to scan the entire embroidery area provides endless creative options and helps ensure that all of your projects are perfect. The next generation of My Custom Design has been enhanced to integrate our InnovEye®2 Technology, offering design capabilities at your fingertips, all without a PC. Draw or doodle directly on the LCD display, and watch it spring to life in the large drawing area. 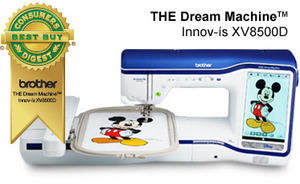 Or, use the scanning frame to scan line art, handwriting or printed clip art and have it transformed into embroidery data. There are so many ways to create a custom personal work of art-and a really fun way to create embroidery! The scanning frame that works directly on your machine. Using lnnovEye® 2 Technology and our state-of-the-art ScanImation™ Scanning Frame, you can scan drawings and printed clip-art directly into My Design Center. 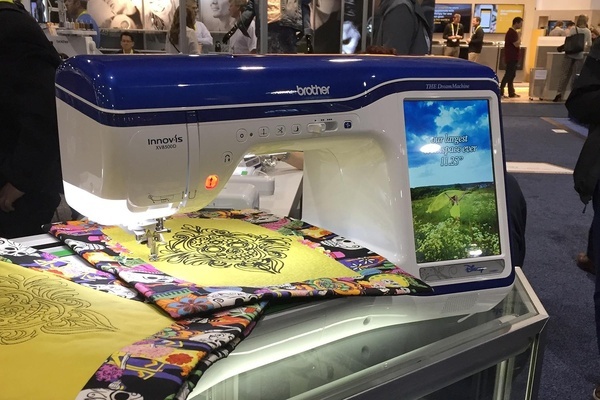 Use lnnovEye® 2 Technology to scan handwriting or line art on the Scanlmation™ Scanning Frame, and then watch as they are transformed into unique embroidery designs. You can also draw directly on the 10.1" built-in HD LCD display. 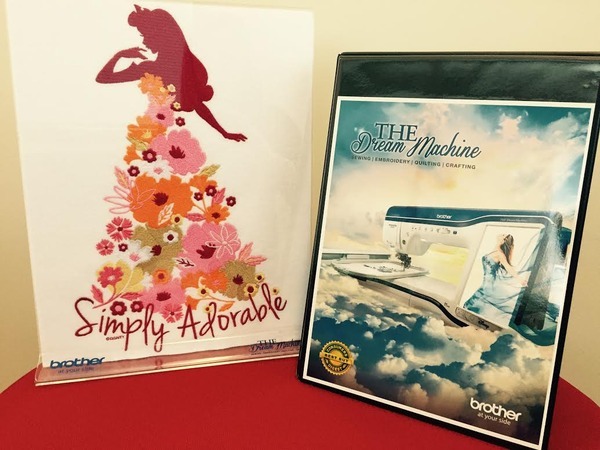 Use lnnovEye® 2 Technology to scan an image or illustration on the Scanlmation™ Scanning Frame. Or import a JPEG using the USB port, and watch in amazement as the image is turned into stitch data using just the machine. Use ScanImation™ Scanning Frame or draw directly on the LCD display to create your own unique patterns. Now you can get the look of complicated freehand stippling without the use of software or stitch regulation!